Ahead of Destiny 2: The Black Armory, Bungie has opened the gates on Destiny 2's Season of the Forge. We've got a nice new balance patch to chew on, new pinnacle weapons to earn, and dozens of new Eververse items to chase. 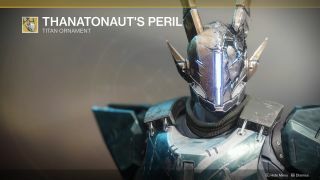 Destiny 2's annual pass comes with bonus Silver you can spend on Eververse items, and you can now earn Bright Dust more reliably thanks to the Eververse bounties, so these items are more obtainable than ever. With time and patience, you can acquire most everything in the store without spending a dime. That being said, here's everything the Eververse store is selling in the new season. Head to page two for GIFs of all the emotes and transmat effects available in the Season of the Forge.